We show here the project of a CW key where 90% is mechanical construction and 10% electronics (two solder junctions). The built-in keyer is also homebrewed from scratch. ... I usually operate this paddle with the thumb and forefinger as is shown in the picture at the bottom. Beacons and foxes have to identify themselves. Although I could sit along all day with my morse key, transmitting my call, I wanted to have some automatic keyer. Unfortunately I do not "speak" morse. In the past I tried to learn it several times, but I never managed to control morse. For training excercises I once built a CW paddle. It is a rather easy design. You only need some unetched PCB and small material. 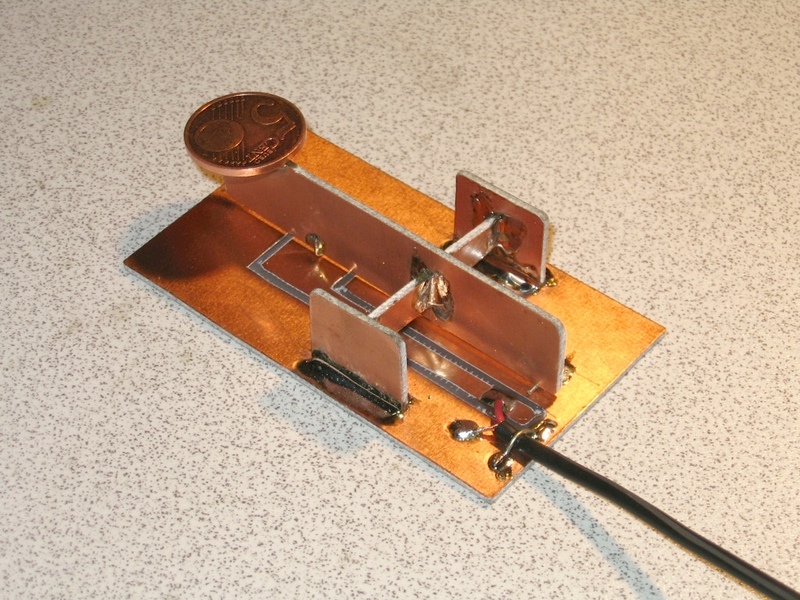 Wayne Mc Fee, NB6M created a simple and easy to build CW paddle made from PC-board. Using Wayne's idea as a foundation I designed a double lever version for iambic keying. Here is a set of lo-tech morse code paddles that I built during a couple of days between Christmas and New Year. Don't build them yourself! They turned out to be really cruddy. 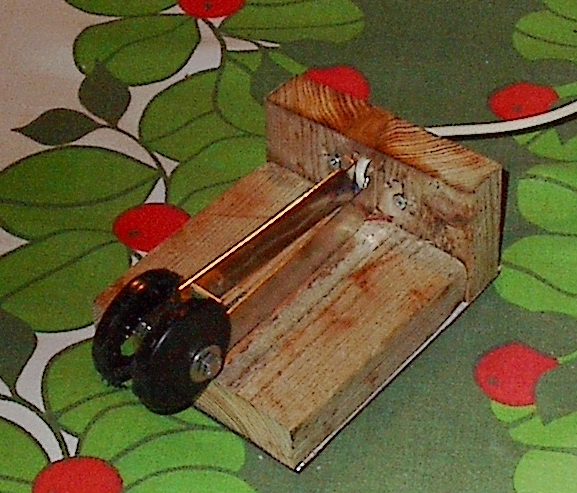 The built-in keyer is also homebrewed from scratch. ... The rest of the space is filled with a batch of lead sheets for the anchor. A careful watcher may find that LEGO blocks are used for the knobs. Miniature PIC microcontroller based keyer kit with convenient modes. The kit includes PCB, componets, knob and ready programmed PIC microcontroller. This circuit is an Electronic Keyer built with 4 IC’s and it can be used as Code Practice Oscillator (CPO). 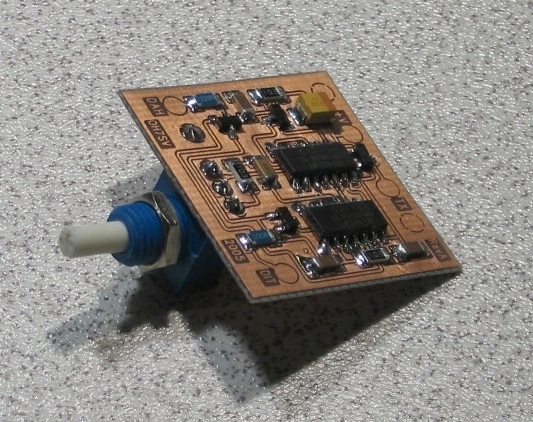 This is a CMOS 4000 series logic based keyer with Dot priority. This is a circuit that I particularly like due to its simplicity and speed of construction. 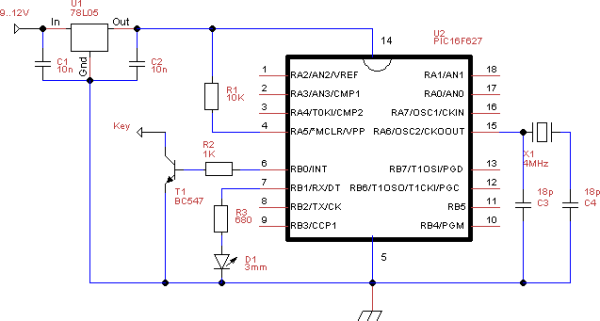 With this circuit, it is now possible to include a paddle keyer as an integral part of all, but the smallest, of QRP CW transmitters. It also satisfies my intense hate for CMOS! !